Dragon Ball Super Episode 67 marked the end of ‘ Future Trunks- Zamasu arc ‘. 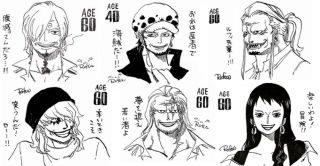 Currently, we are going through some fun in between the arc types of episodes. In the last episode, basically Goku gathered the Dragon Balls to wish back King Kai but in a comedic turn of events that didn’t happen, and the major thing we find out is that Bulma is still interested in rebuilding the time machine; hinting possible time-related stuff in the future. We have a baseball match on Episode 70 where we will get to see Champa again. On Episode 71, Hit will try to kill Goku after being hired by an unknown individual. We don’t know for sure, but that could probably be the start of a new arc or at least lead up to it. Next Episodes has a lot of interesting things, the hottest trending topic going on right now is will there be a time skip?! If you look at this shot Trunks looks a bit older? So did DBS finally skip time? Did Goten and Trunks age? We will examine the evidence and breakdown the preview in this video! Now, for the next, ‘ Dragon Ball Super Episode 69 ‘ the title reads, “ Goku vs Arale? The Earth Ends In a Wacky Battle?! ‘ Airing Date: December 4th! ‘ The episode will center on an event called the “World Invention Award,” which honors the best innovations in the world. The greatest scientists, including Bulma, gather for the ceremony. Goku is working part-time as a security guard in the event, and Mr. Satan is presenting the award. The award goes to Senbei Norimaki of Penguin Town. As Norimaki is presenting his invention, Dr. Mashirito attacks. Frustrated that he was not invited to the ceremony, he interrupts the proceedings, and for some reason, Arale and Gatchan are at his side. 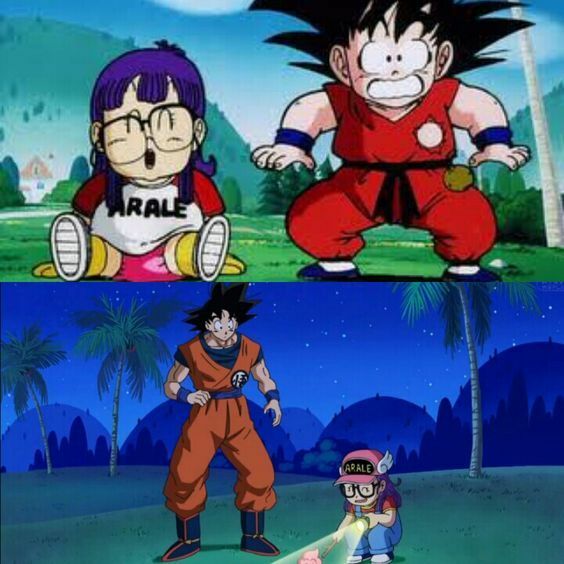 So, basically, Dr. Slump will crossover on DBS. For those of you who don’t know already, Dr. Slump is also a successful creation of Akira Toriyama. It is a big deal in Japan, in a matter of fact; Dr. Slump made Toriyama a Millionaire even before Dragon Ball. Currently, Toriyama has an estimated net worth of 70 Million $! However, it wasn’t dubbed, subbed or marketed properly on the West, and thus is not that well known.